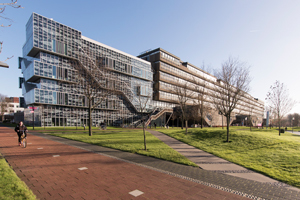 In the World University Rankings by Subject 2019, published last week, TU Delft has four subjects in the top ten. In this ranking 'Civil' is on place 4. This top position is unchanged since the previous ranking. The TU Delft Glass and Transparency group received the Encouragement Glass Award from Bouwend Nederland. The award acknowledges the importance of fundamental academic glass research to develop new solutions for the future.